Robert Rotberg Founding Director of Program on Intrastate Conflict, Kennedy School at Harvard University. Too few social scientists have studied narcotics trafficking, particularly how drug profiteering influences and fuels terror and radical insurgent movements. My work on failed states, governance and civil conflict leads naturally to a consideration of such associations and relationships. Other loads of cocaine from Colombia arrive at proper international airports in Nigeria, Benin and Ghana, hidden in shipments of plantains or coffee. Corrupt airport officials and customs and police officers make sure that the valuable shipments are soon on their way by air or road to Europe. The fact is that today about 40 percent of the cocaine that reaches Europe annually comes via Africa. That is where al-Qaida in the Islamic Maghreb (AQIM), or several of the Islamist groups that have been active in raiding and destabilizing Mali, Mauritania, Niger and Burkina Faso, muscle into the picture. 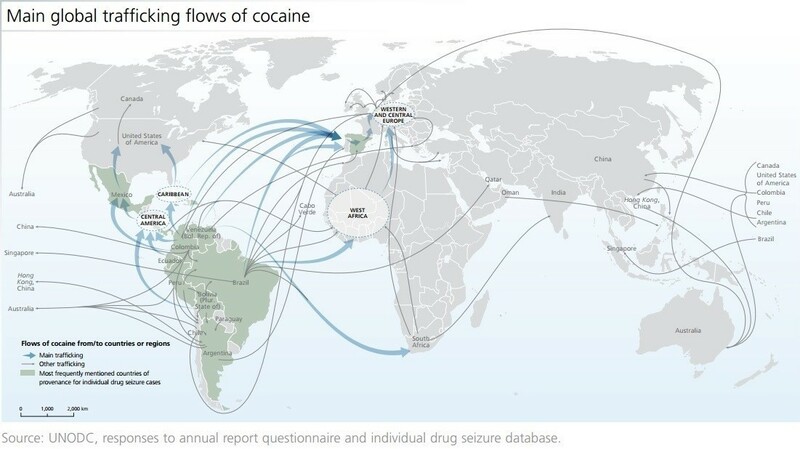 They want their cut of the profits, either from being the major transporters of cocaine across the Sahara to Europe or from facilitating that traffic for a sizable slice of the returns. The competing groups battle, as they have for the past two years in Mali, for primacy and control. That competition also leads to the macho assertion of prowess, as in the raids on Timbuktu and, in January, in Ouagadougou, the capital of Burkino Faso. Innocent bystanders lose their lives when the drug runners randomly invade hotels to boost their power and standing. Additionally, development suffers when drug traffickers threaten fragile governments. Seleka, the Muslim insurgent group that captured and fractured the Central African Republic before being ousted by French and other militias, made money from transshipping drugs from south to north. Lebanon’s Hezbollah, which has always had side operations in West Africa among the Lebanese diaspora, also profits from narcotics dealings on the periphery of the Sahara. Robert Rotberg, Founding Director of Program on Intrastate Conflict, Kennedy School at Harvard University.